Be Sure To Join The Fun At Anisong Fantasy Live In Singapore This Saturday! 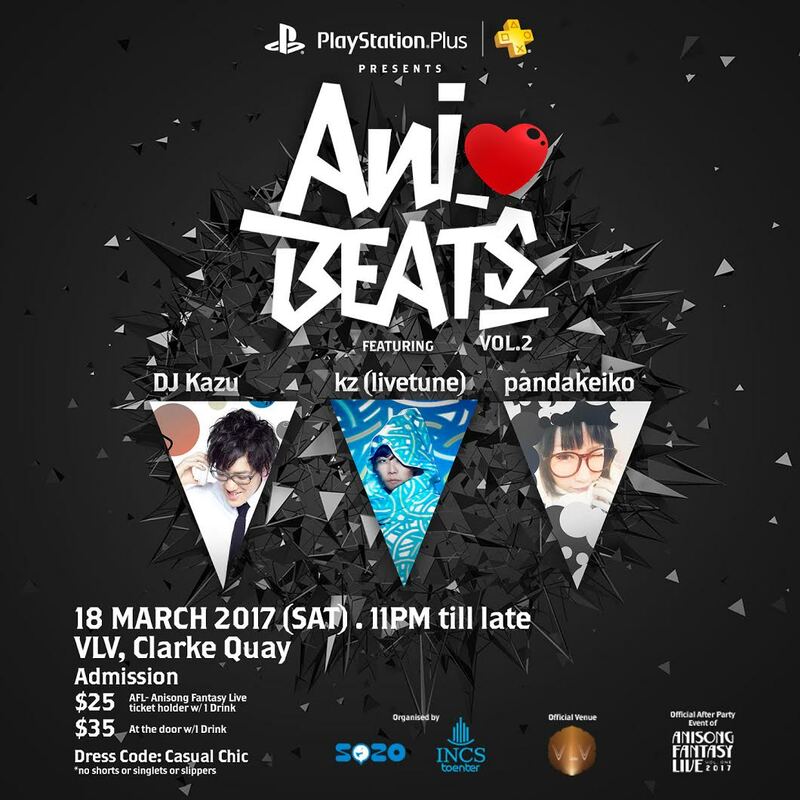 It's an anime fan's dream come true this March School Holiday in Singapore ! Come join us on 18 March 2017, Saturday at Megabox Event Hall @ Bigbox from 7pm for a One night anisong spectacle! The event is expected to be a blast for anime fans as Anisong Fantasy Live has a strong line-up that will feature top anisong artistes like Aimer, Alisa Takigawa, ELISA, GARNiDELiA, Kalafina and Luna Haruna. 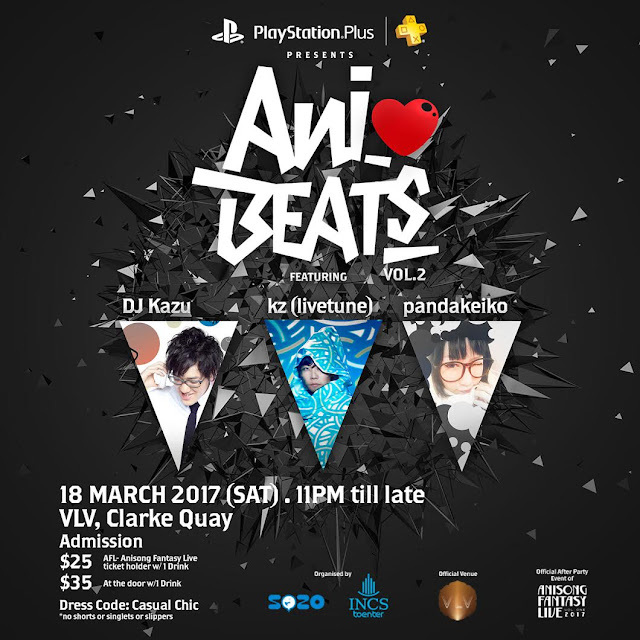 What's more, after the concert, all ticket holders can attend the official afterparty hosted by ANiBEATS at a SGD$10 discount at Clark Quay. Don't miss Anisong Fantasy Live in Singapore!! Do take note of the dress code ((No shorts, singlets, or slippers)) & Age Restriction (18+)at Vol.2.